Dentists are among the savviest of professional service providers. Perhaps it is because they work on such a minute scale day in and day out…perhaps it is because they are technically minded and have a pre-disposition to learning. In any event, it has been our experience that those from the dental profession are acutely aware of all aspects of their business. 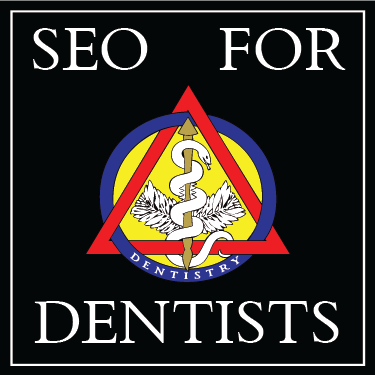 Many dentists are also pro-actively involved in all aspects of their web presence as well. Among the top concerns among dental professionals are the aesthetics of their website and the way in which visitors navigate around their site to gather information in order to be better informed and educated. I think it’s safe to say that these are important and vital aspects of the user experience. I’d go further and declare that these are paramount in making your web presence one that can effectively help you to build your practice and gain new patients. In recent years we had the option to hire someone to “optimize” our website. This was typically a one-time occasion where an expert would adjust the code in the backend of our site to please the search engines. Search Engine Optimization (SEO) was an event based discipline. If you’ve had experience with SEO for your website, then you know that whatever impact and results that were derived from these efforts usually faded away and appeared to be less than effective after a period of time. The search engines are in a constant state of flux, forever adjusting their algorithms in an effort to serve up the most valuable and relevant content. Gone are the days of SEO being an event based tactic, but SEO is not dead, far from it. It too has evolved as the Internet has dictated that it must. Search engines, like Google, recognize that there has been a revolutionary shift in the way that people using the Internet find, consume, and share content. All of the content on your website needs to be optimized. This is a two-fold thought process and tactic. We have to optimize our content to be easily digested and easily shared by real human beings. We must deliver content that delivers real value to our readers. In a world heavily impacted by social behavior on the web (Social Media), we have no choice but to encourage conversations around our content on third party sites like Facebook and Twitter. Write for the reader in an effort to deliver real value. Focus on the value of the content being mindful that your content will be shared and talked about on social networks. This also increases the chance that your content will be linked to as an authoritative resource by other sites. Make it easy to share your content by adding plugins that enable visitors to share your content to social media and social bookmarking sites directly from your site. ShareThis and SexyBookmarks are two great options. Search engines view our websites differently than our human viewers. The actual code that makes up our websites are what the search engines scan, or “crawl” in order to see what our site is about and if the world at large feels we are relevant and worthy of top placement in search engine results pages. Our “Meta” information is code that is pro-actively built into each piece of content on our website. Having a good understanding of how the search engines function and what real searchers are looking for enables us to optimize our behind the scenes code. Be mindful of your main keywords and phrases as you create new content and blog posts. What are actual searchers using to find your content in search results? What keywords and phrases do you NEED to be found for when people search the internet? Let these two questions wag the dog when it comes to the content that you create. Create and follow an “editorial calendar”. Your editorial calendar should be a strategic piece developed early on to insure that your content, over time, pulls the right type of internet searcher to your site. If what you do and provide is not what your site visitors wanted when they performed a search…something is wrong. Either you don’t understand the behavior and vernacular of your potential customers or you’re not implementing what you learn as you create new content. Make sure that you add meta information (titles, descriptions, and keywords) to EVERY piece of content that you create and launch on your site. As much as we’d like to believe that we are subject to the whims of the search engines and victims of some unknown and uncontrollable algorithym…what ultimately matters, and the ONLY important metric to be mindful of is how well we understand our potential patients and their behavior as they search the internet. Pair that with your business objectives and skilled SEO tactics and you will see a return on your investment into the world of better SEO for your site and content. There is no magic bullet, so settle in for the long haul. Learn from your existing patients and your potential patients about how they use the internet to learn and make decisions. Implement what you learn and be pro-active in learning all that you can about SEO and you will realize a yield from your efforts. It won’t be overnight…but the traction you gain and your ability to leverage the incredible power of the internet will only improve with time. The increased traffic to your website and better search engine results page placement and rank will win you new patients and will baffle your competitors…it’s a simple win-win!